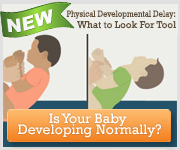 Between four and seven months, your baby may undergo a dramatic change in personality. At the beginning of this period, she may seem relatively passive and preoccupied with getting enough food, sleep, and affection. But as she learns to sit up, use her hands, and move about, she’s likely to become increasingly assertive and more attentive to the world outside. She’ll be eager to reach out and touch everything she sees, and if she can’t manage on her own, she’ll demand your help by yelling, banging, or dropping the nearest object at hand. Once you’ve come to her rescue, she’ll probably forget what she was doing and concentrate on you—smiling, laughing, babbling, and imitating you for many minutes at a stretch. While she’ll quickly get bored with even the most engaging toy, she’ll never tire of your attention. The more subtle aspects of your baby’s personality are determined largely by her constitutional makeup or temperament. Is she rambunctious or gentle? Easygoing or easily upset? Headstrong or compliant? To a large extent, these are inborn character traits. Just as infants come in different sizes and shapes, their temperaments differ as well. Their unique character traits include their activity levels, their persistence, and their adaptability to the world around them—and these traits will become increasingly apparent during these months. You won’t necessarily find all of their personal characteristics enjoyable all the time—especially not when your determined six-month-old is screaming in frustration as she lunges for the family cat. But in the long run, adapting to her natural personality is best for both of you. And because your baby’s temperament is real and directly affects you and the rest of the family, it’s important to understand her as completely as possible. Your child’s “behavioral style” even affects how you parent and how you feel about yourself. An agreeable, even-tempered child, for example, is more likely to make you feel competent as a parent than one who is constantly irritable. As you’ve probably discovered already, some infants of this age are “easy,” calm and predictable, while others are much more difficult. Strong-willed and high-strung babies require an extra dose of patience and gentle guidance. They often don’t adapt to changing surroundings as easily as calmer babies, and will become increasingly upset if pushed to move or perform before they’re ready. To a large degree, you’ll fare better not by trying to change your child’s temperament, but by accommodating it. You can reduce the stresses of rearing an infant by recognizing and acknowledging her temperament rather than resisting or working against it. Language and cuddling sometimes will do wonders to calm the nerves of an irritable child. Distracting her can help refocus her energy. For instance, if she screams because you won’t retrieve the toy she dropped for the tenth time, move her to the floor so she can reach the toy herself. The shy or “sensitive” child also requires special attention, particularly if you have more boisterous children in the household who overshadow her. When a baby is quiet and undemanding, it’s easy to assume she’s content, or if she doesn’t laugh or smile a lot, you may lose interest in playing with her. But a baby like this often needs personal contact even more than other children. She may be overwhelmed easily and needs you to show her how to be assertive and become involved in the activities around her. How should you do this? Give her plenty of time to warm up to any situation, and make sure that other people approach her slowly. Let her sit on the sidelines before attempting to involve her directly with other children. Once she feels secure, gradually she’ll become more responsive to the people around her. Also let your pediatrician know if you have any concerns about your baby’s emotional development. Your pediatrician can help if she knows there are problems, but such concerns can often be difficult to detect in a routine office visit. That’s why it’s important for you to call the doctor’s attention to your concerns and describe your day-to-day observations. Write them down so you don’t forget them. And take comfort in the fact that with time and patience, some of her personality traits that you wish you could change will evolve. In the meantime, enjoy her as she is.